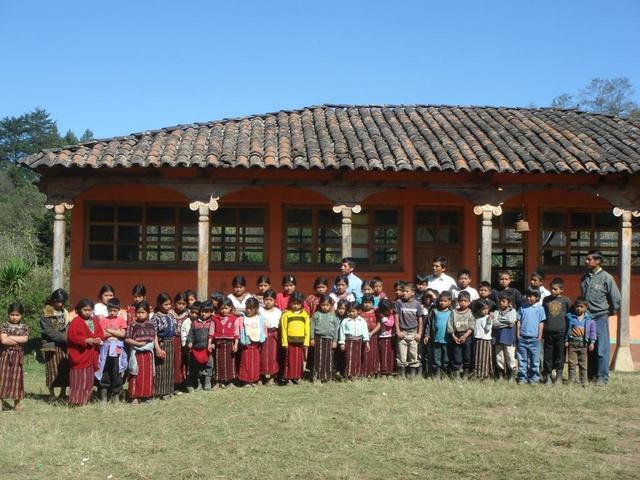 The school “Escuela Oficial Rural Mixta Las Flores Turanza” is located in LAS FLORES TURANZA a community in the Municipality of Nebaj. Nebaj belongs to the so-called Ixil-Triangle in the Department of El Quiché in Guatemala, Central America. The community Las Flores Turanza is located approximately 3 km south-east of Nebaj. Set amid a mountainous landscape, the climate is cold, humid and rainy. The school children are using two flush toilets, which belong to the health center. A septic tank exists, but is too small to cope with the high usage. The village has a gravity-flow water system implemented by FONAPAZ and OXFAM in 1999 with a household connection for every family. 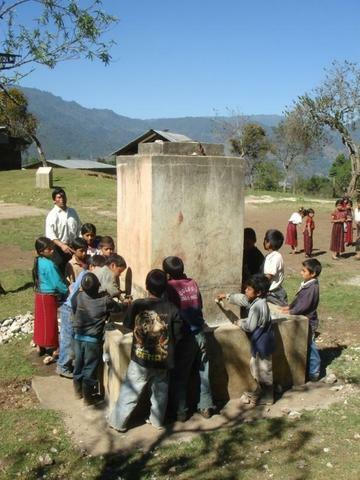 The school has a hand-washing station, implemented by Agua Para La Salud in 2002, which has recently been repaired. The project will be executed on the premises of the local school in which 3 teachers educate 65 children. The community consists of 60 households with a total of approximately 360 inhabitants. 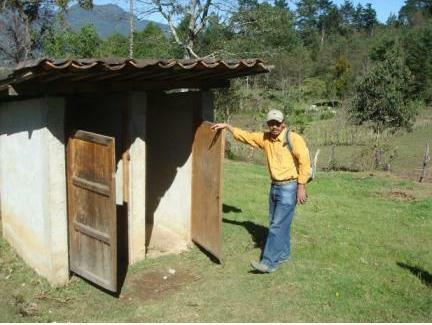 A 5 cabin latrine will be built on the school’s premises. The latrines designed by APS possess lockable metal doors to prevent vandalism. A tin roof keeps out sunlight and therefore reduces insect population. The improved stove has been designed by a Peace Corps volunteer and APS masons according to the need in schools. 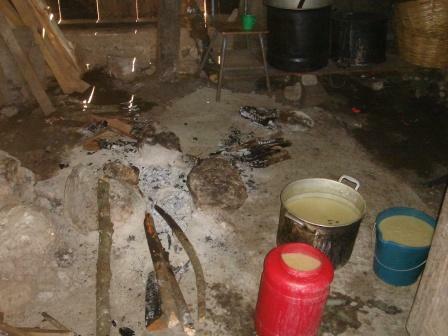 It heats large amounts of “atol” or “mosh” (local versions of porridge) using small amounts of wood. The chimney connected improves the air flow and therefore optimizes the wood consumption and leads the smoke outside. Especially because the stove is very low, it is a well accepted alternative to the open fires the snacks are often cooked on.